Construction workers in Saskatchewan once again have much-needed choice in union representation after the Christian Labour Association of Canada (CLAC) was granted certification by the Saskatchewan Labour Relations Board to represent the employees of five construction companies operating in the province. The board issued Construction Workers Union, Local 151, affiliated with CLAC, its first official bargaining certificates in twenty years. In 1992, the government at the time passed legislation requiring unionized workers in the construction industry to be members of craft-specific unions based in Washington, DC. CLAC and other unions not affiliated with the provincial building trades were barred from representing construction workers in Saskatchewan. As a result, workers were denied their fundamental right to freedom of association regarding union choice. The legislation effectively granted a monopoly of unionized Canadian construction workers in the province to unions based in the US. In 2008, Bill 80 amended the Construction Industry Labour Relations Act to allow other unions to represent construction workers in Saskatchewan. When CLAC applied for certification in 2010, unions affiliated with the provincial building trades and a number of non-construction unions affiliated with the Saskatchewan Federation of Labour challenged CLAC’s application. Over the next eighteen months, the challenges wound their way through the board and the courts before being dismissed. 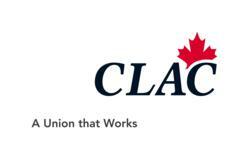 CLAC is an independent Canadian labour union representing over 50,000 workers in a wide range of sectors―construction, health care, retail, service, transportation, manufacturing, and others. Based on principles that promote the values of respect, dignity, fairness, and integrity, CLAC’s approach to labour relations stresses membership advocacy, cooperation, and the long term interests of the workplace community.